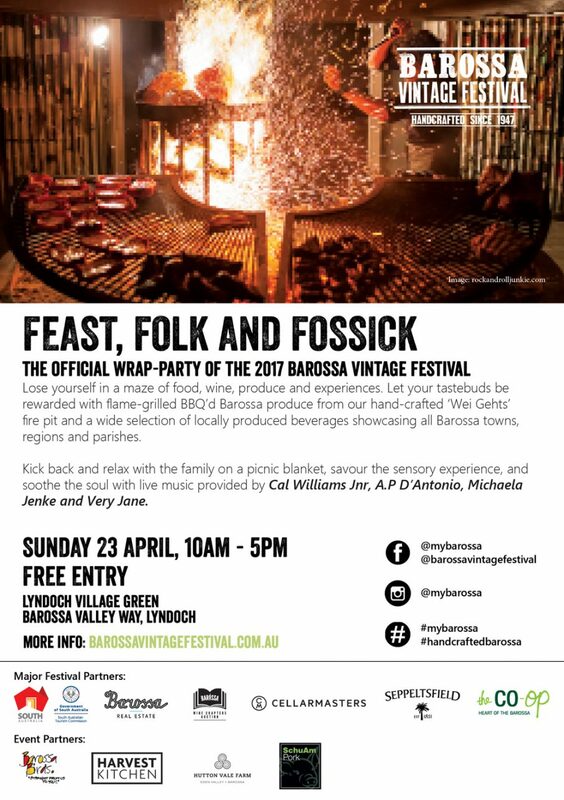 Join Izway Wines at the official wrap party of the Barossa Vintage Festival. Feast, Folk & Fossick, on the 23rd of April is the perfect way to spend a lazy Sunday. A selection of Izway Wines will be available for purchase by the glass or bottle. Bring the family and enjoy a day of free entertainment with live music and festivities.